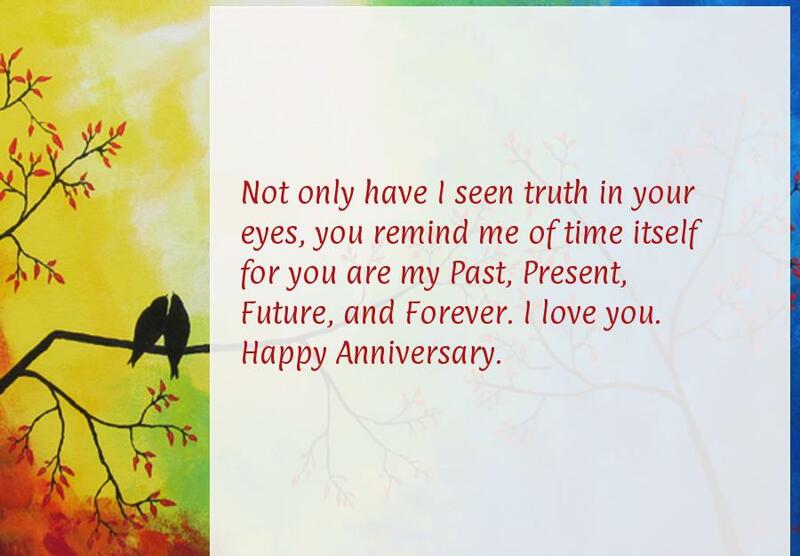 Wanted to wish you a happy and loving anniversary day today. Cherish one another, and be the king and queen of true love. 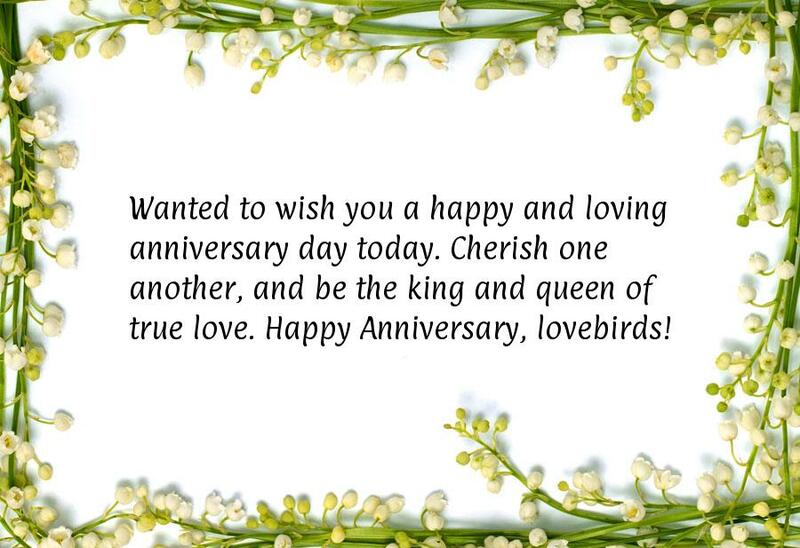 Happy Anniversary, lovebirds! You have shown me what True Love is, adding harmony deep within my heart. I never want to lose you. 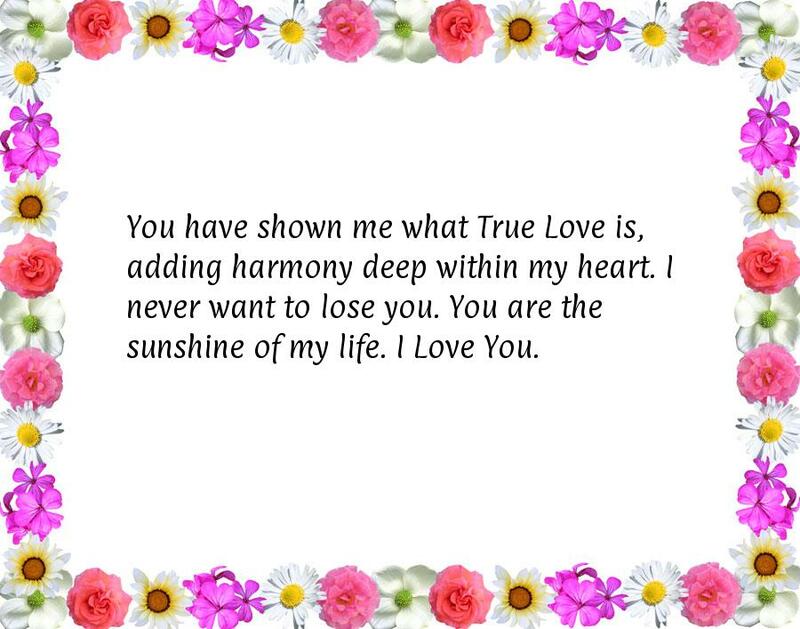 You are the sunshine of my life. I Love You. 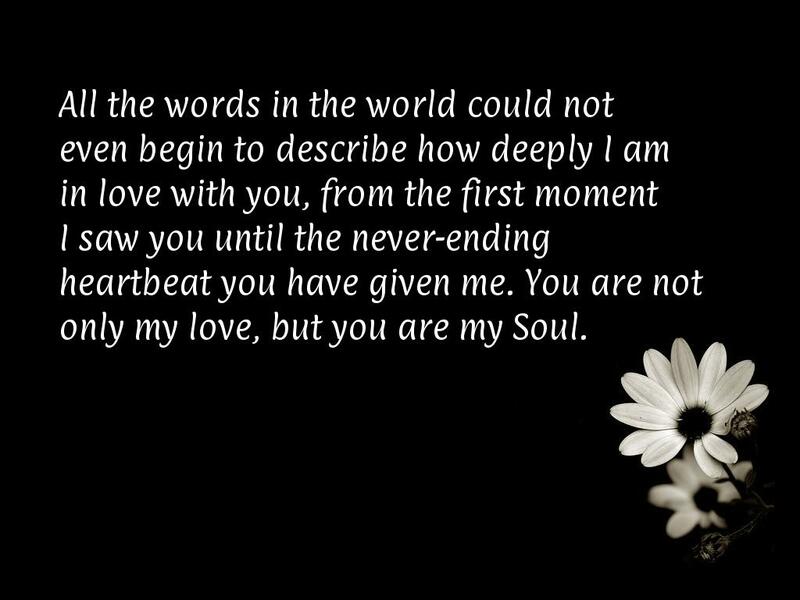 I see truth, passion, and beauty deep within your heart, escalating into your soul. 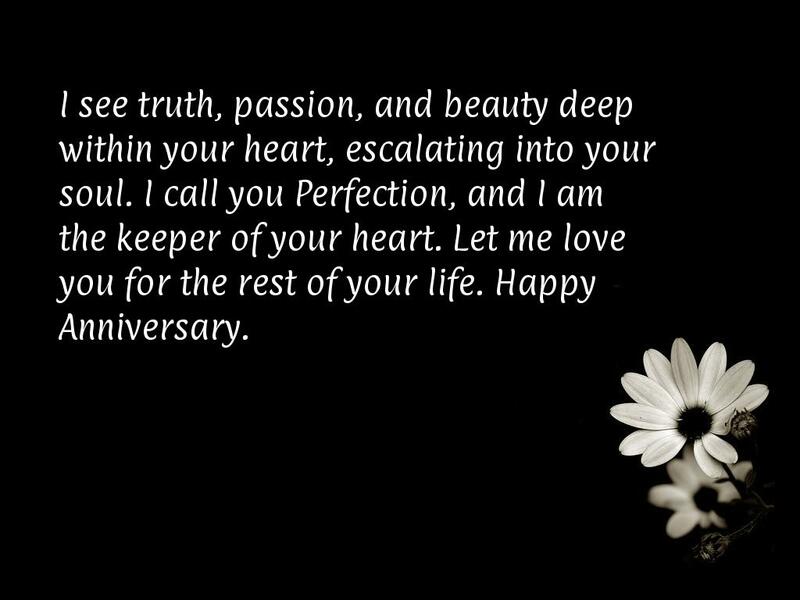 I call you Perfection, and I am the keeper of your heart. Let me love you for the rest of your life. Happy Anniversary.